Four mutations (N370S, IVS2+1 G^A, 84GG, L444P) are responsible for approximately 95% of disease-causing alleles in Ashkenazi Jewish individuals and 50% of disease-causing alleles in non-Jewish individuals (Figure 8-1).12 Most laboratories performing GD mutation studies test for at least these four mutations using standard laboratory techniques. There are several factors to be aware of when designing molecular testing for GD. Primers must be selected that avoid amplification of the pseudogene located 16kb downstream and approximately 96% identical to the functional gene (Figure 8-1). Recombinant alleles, which are thought to have resulted from unequal crossovers between exons 9 and 10 of the functional gene and pseudogene, contain two or more point mutations, including L444P. If L444P alone is tested, misdesignation of the genotype may occur. This may be important, as the recombinant allele is typically associated with a more severe genotype. Mistyping is also possible when a 55 base pair (bp) deletion in exon 9 is present in combination with the common N370S allele. Homozygosity of N370S would be observed even though the true genotype is N370S/55 bp deletion. 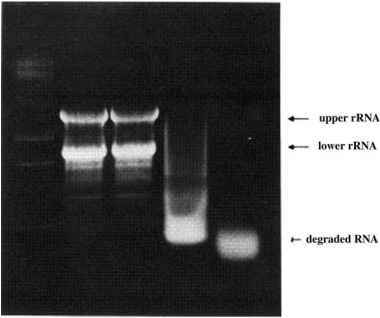 Therefore, the 55bp deletion should be analyzed in patients who are found to be homozygous for N370S.